Our casement windows is most popular window design, offering security and energy efficiency. Our vertical sliding sash windows, combines the traditional with modern window materials. The Tilt and Turn windows, offer flexibility and style in a wide range of designs and window options. 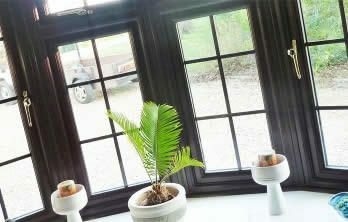 Bay and Bow windows offering traditional look, providing more light and space in your home. Double Glazed Windows – Which style should I choose? 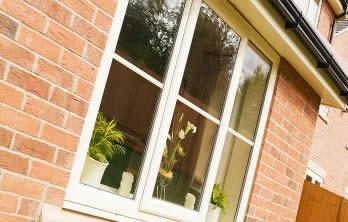 Choose from our traditional casement windows to a modern style tilt and turn, we can manufacture and install every style window to suit any Huntingdon home. We offer traditional white frames or natural woodgrain effect, you decide which style and colour then you can select life you would like Georgian, stained diamond lead or bevelled glass. 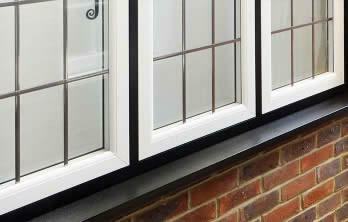 Whatever style you choose from, you can be rest assured our windows are extremely practical with minimum maintenance. Why Choose Our Double Glazed Windows? We offer the largest range and style of windows which suits every budget. 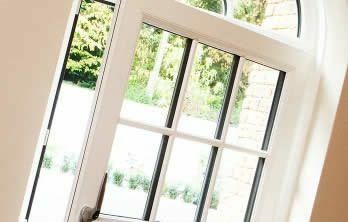 Our A-Rated windows will provide a considerable loss of heat and preventing draughts and will save you money on your heating bills. Our windows are resilient, robust, extremely secure, and practically maintenance free. All our windows are manufactured to the current British standards and secured by design, with the most sophisticated locking mechanism. All our uPVC windows are manufactured with accredited ISO 9001quality standards. All double glazed windows are covered by the 10-year against warping, splitting or cracking, with foils guaranteed for colour-fastness.